I had tons of snow growing up, so I didn’t miss it during the years we lived in California, or so I thought. 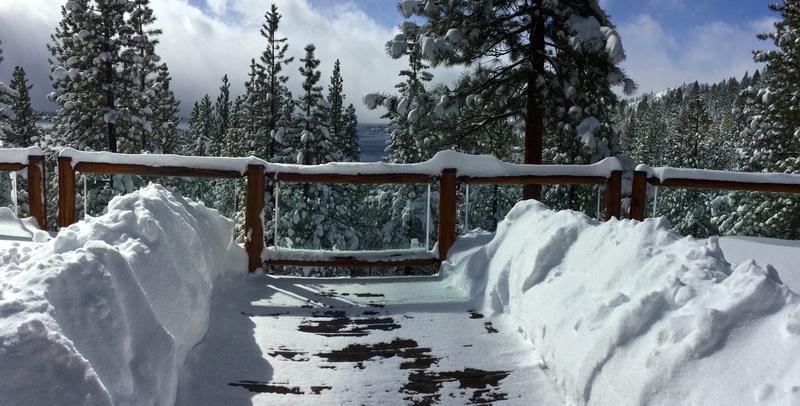 Now that we’ve moved to Lake Tahoe I am in love with the light, fluffy snow that falls at this altitude. Whenever it snows, I’m out the door with my camera or shovel. My Facebook page is filled with so many photos like this that my family rolls their eyes at my enthusiasm. Winter break provided one of my favorite models, my niece Ellie! I soon realized, I needed a cozy cowl for these excursions. Not a cutesy wrap it twice around your neck cowl, a practical one. One that would keep me warm, keep the snow off my neck and not get in the way. Something I could stuff in my pocket when I got warm on a long walk with my camera. 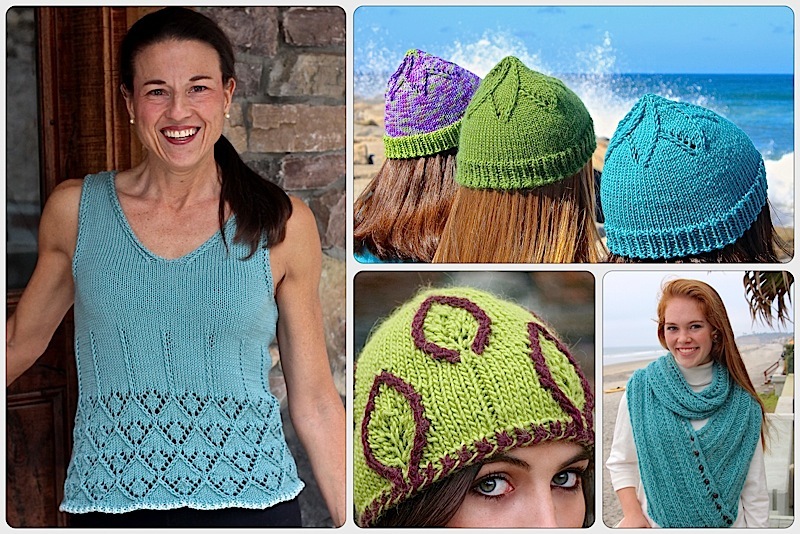 You already have everything you need to knit it. The Ban Boring Hat Brims post will get you started. The yarn here is Louisa Harding Amitola Grande with a gauge of 4.5 sts per inch in stockinette. 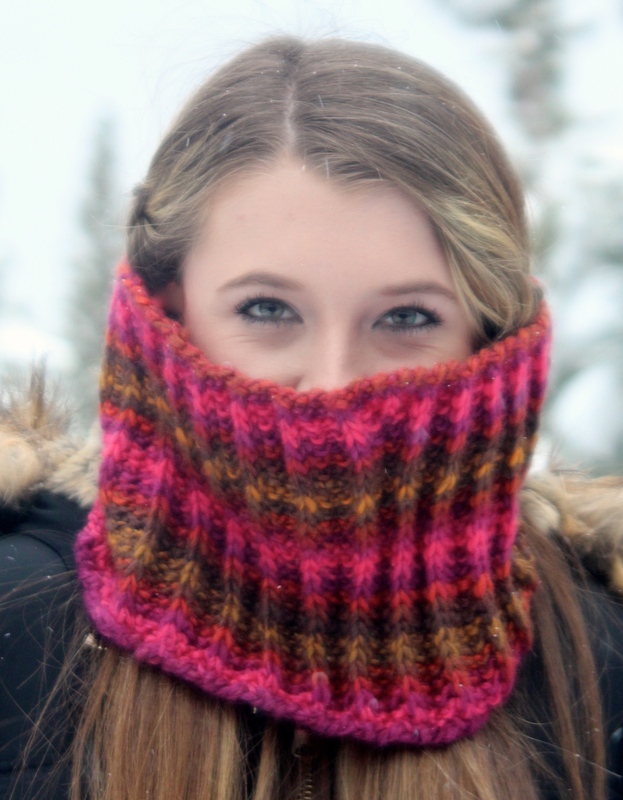 I cast on 96 stitches (24 repeats) for a 20″ x 8″ cowl. It’s the perfect size to pull up over my mouth when it gets really cold. Now that I’ve shoveled some of the 20″ of snow we got last night, it’s back to the Estrellita Blanket. It’s all ready to go and since I’m snowed in, I really have no excuse not to get it out to you. 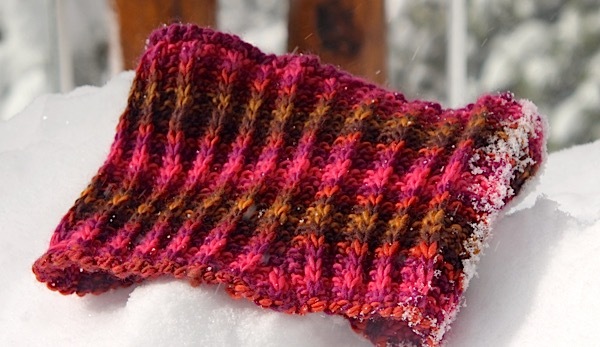 This entry was posted on February 18, 2016 by Laura Cunitz in Patterns, Scarves and tagged Knit cowl, Showy Decrease.